The Lahore School of Economics Association of Debaters (LSEAD) has won the 17th Annual Parliamentary Debating Competition at the Government College University. Competing with several teams from all over Pakistan; two teams from Lahore School successfully reached the final round and competed against each other to bring the trophy back home for the second consecutive time. 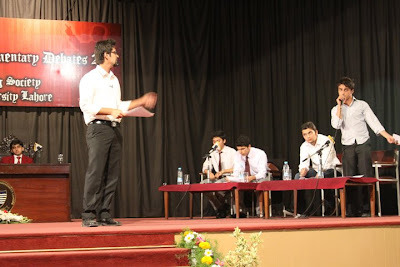 The final match took place on April 24, 2012, between Lahore School Team A (consisting of Wasae Imran, Ali Akbar Abbas Rizvi and Hamza Ghaznavi) and Lahore School Team B (consisting of Shahzeb Rathore, Saad Sohail and Zarak Shah) with Team A winning after a unanimous decision in their favor. The motion discussed in the final round was ‘This House Believes that Education Should Be a Federal Subject’ and both sides argued intensely on the topic right till the end. To top it off, Ali Akbar Abbas Rizvi was awarded the Best Speaker of the Tournament - [Sidra Rana]. 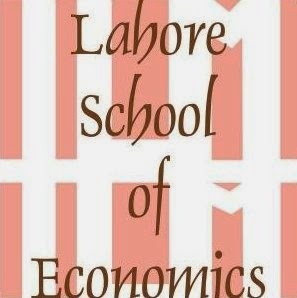 The Lahore School of Economics will be accepting applications for its MSc Economics, MS Economics and MPHIL Economics programmes next semester. The Lahore School’s Graduate Economics degrees are designed to provide rigorous academic training to students whose careers are or will be in the area of economics or economic policy. 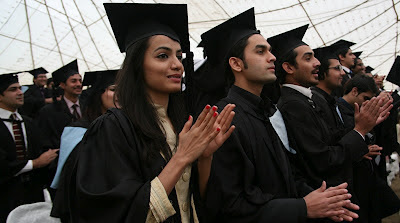 The curriculum of the graduate programmes have been designed to help students develop a solid foundation of analytical skills that will be valuable to students who continue on to pursue graduate degrees in economics and also for those who want to enter the profession (as either instructors or practitioners) right after completing the degree. The research and practical components of the programmes are designed to produce graduates who have an understanding of cutting edge academic and policy research. A significant number of the graduates continue their academic training to obtain further degrees in various areas of economics in highly ranked international programmes or progress to the teaching track at the Lahore School. The MSc Economics programme is a one-year taught programme while the MS Economics programme is a one-year taught programme followed by a one semester MS research project. Finally, the MPHIL Economics programme is a one year taught programme followed by a half year MPHIL research thesis. Details about these programmes are available from the Graduate Programmes Office. The coursework for programmes is the same and is taught by the senior faculty of the department of economics. Students with an undergraduate degree in economics (with a minimum CGPA of 3.5) are welcome to apply to the programme. Students who apply will also be required to take the NTS (National Testing Service) GAT General test, a Lahore School of Economics Graduate Admissions test and will be interviewed by the admissions committee. Further information about the programmes is available from Farwa Ijaz at the Graduate Programmes office (Email: farwa@lahoreschool.edu.pk, Te: 042-3656-0939) or from Ayesha Khanum at the Department of Economics (Email: ayeshakh@lahoreschool.edu.pk, Tel: 042-3656-0969). Application forms for the programmes can be picked up from the admissions office, Liberty Campus.